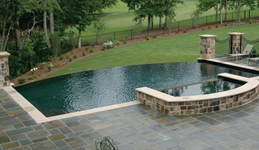 As the most dedicated pool builder in Little Rock, we want to do more than just build you a pool. We want to create a place for your friends and family to gather, or a private oasis where you can escape, unwind and relax. Your pool can be tailored to whatever outdoor atmosphere you are wanting to achieve. Here are some popular features that can be integrated into your pool design. This is one of our favorite custom pool features. By raising the spa, you create a minor water feature by default. During daily filtration, water is drawn only from the pool and returned to both the pool and spa. With only return water to it, the spa overflows into the pool. Additionally, the raised spa is less likely to experience surges of cold water if both pool and spa are being used simultaneously. The look and sound of naturally flowing water may be the most relaxing experience in the world. Since filtered water must be returned to the pool somehow, why not set up a low-cost waterfall? Our workmen take great pride in their ability to mimic Mother Nature in the way they set rock and stone for waterfalls. 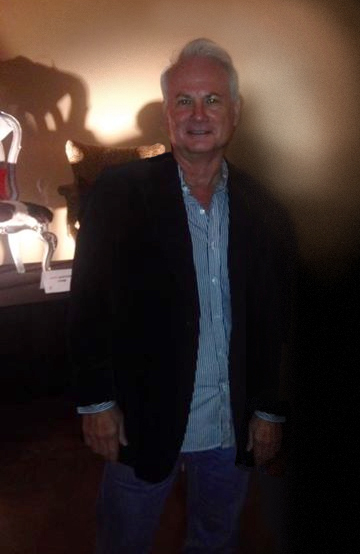 The result is an object of beauty, pride and joy for as long as you own your home. 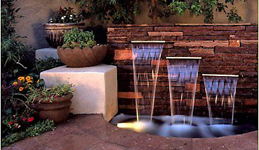 For the sound and beauty of water in a more formal environment we recommend a fountain. Whether a multi-tiered tile artifice or a simple bubbler, you will find yourself running the fountain every time you are in the yard so that you may bask in its relaxing effect. Streams, beaches, shelves, ledges and site-built rocks are some of the methods used to recreate a natural setting in an urban or suburban area. We have experience with all of these methods and are ready to design a backyard that will take you to the mountain hideaway or tropical escape that you have always imagined. It is all about making your pool more usable. The more time you spend in your pool, the better the return on your investment. If you spend a small amount more to use the pool a lot more, you have made a wise move. So ask yourself, what would you really like to do in your pool? Do you want something really special? We have experience with all kinds of special structures and love the challenge of building things that have never been done before. Bring us your dream and we will build it. Your pool is too pretty for a plastic slide! We can create slides using natural pool building materials and methods. Since every site is different, we will have to look at yours to determine if we can do it and what will be needed. A fun waterslide can turn people of any age into fun-loving kids and give you many hours of family play and memories. The hottest pool design element in pool building today. Think of it as a reverse waterfall. Instead of the water flowing into the pool, it flows out. Vanishing edges require special expertise and careful planning to deal with the unusual dynamics of water displacement involved. We've been building swimming pools in Arkansas for over 15 years now. We know how to put more fun per square foot into your pool than any other swimming pool builder! With great ideas, years of pool building experience, top quality workmanship and materials, attention to detail and our low-maintenance equipment; all you have to do is play. Call on us to help you create the best pool you've ever wanted.